Where was the first Christian church building, probably in 180 C.E.? Where was the first place outside of Antioch that Christian missionaries were sent out to the east? 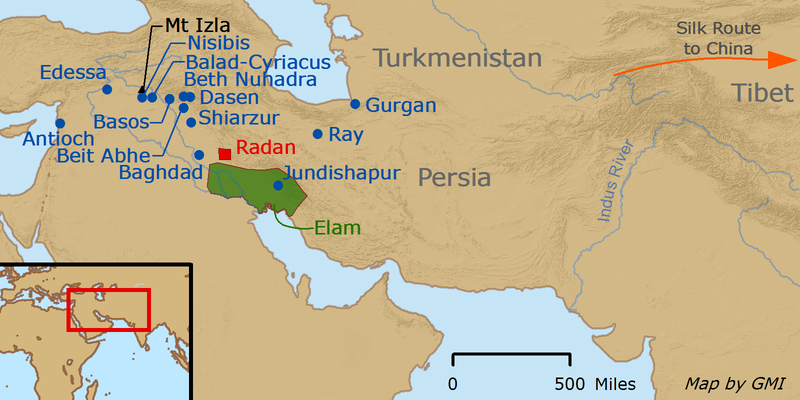 Where were two of the first Asian Christian theologians based, Bardaisan and Tatian? Where was the first Christian theological college/university, near to the year 200 C.E.? The answer is the city of Edessa, 180 km to the NE of Antioch. Edessa, now the modern Turkish city of Urfa, was the staging area for a strong missions movement to the east that may have included three of the original twelve apostles: Thomas, Thaddeus and Bartholomew. The gospel did not only move west to the areas around the Mediterranean Sea but also further east in Asia, a sometimes unknown or downplayed part of history. The beginnings of the Christian church were not in the West but in Asia, in a region known today both as the Middle East as well as West Asia. Edessa, after Jerusalem and Antioch, became the key center for this spread east. The Church of the East, an overall name for the great Church of Asia with several branches, grew from Edessa with its Christological position consistent with the stance of Antioch, believing in both the divinity and humanity of Christ but attempting to articulate that mystery in their own linguistic and theological terms. Traditions from Edessa state that Jesus responded to King Abgar: “Blessed are you that have not seen me but have believed. I must finish here all that which I was sent to do, and then return to Him that sent me. But after that, I will send one of my disciples to heal you and to bring life to you and those with you.” Supposedly the disciple that Jesus sent was Thaddeus (called Addai by the Church of the East) and he went to Edessa and the King was healed, becoming a follower of Jesus. Though perhaps a tradition that has no evidence factually, this exchange illustrates the strength of a real city named Edessa that became a crucial center for Christianity in the early centuries. Today however there are no Christians left in Urfa (Edessa). What was once a major center for the spread of the Christian faith, with some form of University that included both theological studies and mission preparation, now has no more churches of any kind. In a book I would highly recommend for those interested, William Dalrymple travels throughout parts of Asia and Europe describing what he sees of the present while reflecting on the past. 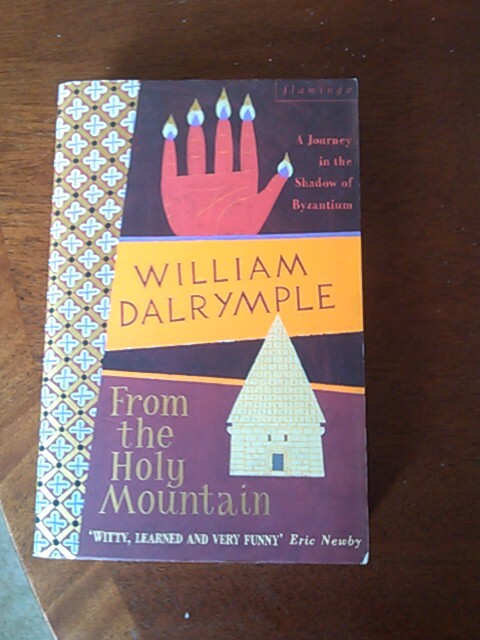 Titled From the Holy Mountain, it is an entertaining read packed with information on ancient sites of Christianity as well as present centers of devotion. Dalrymple is one of my favorite writers, and has been instrumental in helping start a Book Festival in Jaipur, India that has become widely popular not only in India but globally. Starting out as a travel writer with books like this one, he has shifted to writing histories on South and Central Asia, including his most recent on Afghanistan, Return of a King. What happened in Edessa/Urfa has happened in many places in the Middle East/West Asia. Once thriving centers of the Christian faith that hosted Universities integrating scholarly learning with sending out missionaries, (like another city called Nisibis also in the Turkish/Syria/Iraq frontier region), there are many of these areas that have no Christian or Jewish communities today. With the takeover of the major city of Mosul in Northern Iraq last year by ISIS, another city with an over 1600 year history of the faith became virtually desolate of Christians. These things could lead us to a conclusion that somehow Christians should take back these places and expel the Muslim communities residing there or limit them from living around our own cities. Instead as Christians we should seek to witness to our faith boldly yet with great hospitality, never ceasing to pray that someday places like Urfa, Nisibis and Mosul will again have loving followers of Christ living among the Muslim majorities there. Where we do have the freedom to live as Christians among Muslims, whether in the Middle East, other areas of Asia like India and Pakistan, or the West, we should do so with a commitment to loving witness however possible in the local context. Having those different from us, the ‘other, living in our communities is absolutely essential to the hospitality and integrity of the Gospel of Jesus lived in the life of believers. May it someday be true in Urfa and Mosul as well. Hey Steve. I wrote a post inspired by yours. Just wanted to let you know that you’ve been quoted. Thanks Allen. I’ll go to your blog and check it out. In my last post on the Jaipur Literature Festival, the largest free one in the world, I mentioned sitting in two sessions of William Dalrymple. In August I posted in part on my favorite book of his, From the Holy Mountain. For those interested you can order it from my Recommended Books page. Here is that post from August.